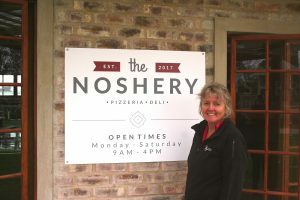 The Noshery is part of an expansion at the Red Berry Farm, in George, South Africa. Our objective is to provide our customers with a wide range of delectable products, ranging from our cheese platters and preserves to our artisan pizzas, made to your request. Our pizza dough is made daily, onsite and we have a variety of fresh toppings for you to choose from. 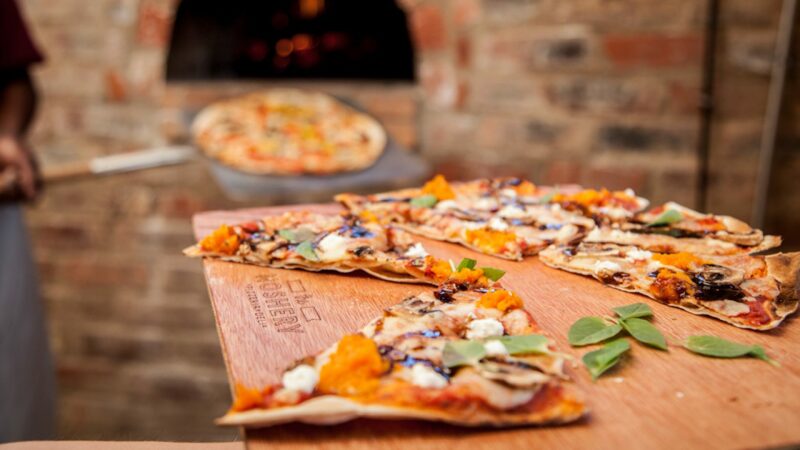 You can then grab a seat at our waiting tables and watch your pizza being baked in our wood fired pizza oven. Our menu offers a variety of gourmet pizza options or you could simply order a margherita pizza and select your own topping from the topping menu. At the Noshery we would love to give your tastebuds an experience like no other whether it be trying strawberries and balsamic reduction on pizza or trying our dessert pizza; a thin base coated in Nutella and banana, served with a dollop of fresh farm cream. The deli side of The Noshery is just as mouth watering, with fresh loaves of bread available everyday and shelves of preserves and relishes to go with it; to enjoy at home or as soon as purchased if you can't wait that long. We also stock a sizely range of cheeses which can be bought in bulk to take home or you can select your favourite options and pair them with cold meats and crackers to make a cheese platter. For those with a sweet tooth, our bakery will also have a selection of treats to choose from.